By 2009 it was becoming clear that many of the 18th century Non-Conformist Gowllands were Baptists (before we had been uncertain as to their denomination). Continuing research will be following this line, therefore. In particular, we are (June 2009) looking at the records for Dover, Deal and Canterbury. It is just possible that in the late 18th century it was as Particular Baptists, rather than General Baptists, (see "Introduction" below) that they were dissenting; but there is as yet no hard evidence on this point. General information on Baptists, specific details relevant to Gowllands and known associates, and other relevant information, will be placed here, and may be accessed via the Glossary. Surnames associated with Gowlland family members in Dover and Canterbury Baptist records. As a variety of Protestant nonconformist churches began to emerge, they would frequently conduct their own baptisms, often clandestinely, and (up to 1754) marriages, though few possessed burial grounds until much later. Nonconformity was attacked by both church and state until the Toleration Act of 1688 brought much of the persecution to an end and chapels could operate increasingly openly though Catholicism continued to be suppressed. Nonconformity grew steadily and although Hardwicke's Act prevented marriages in nonconformist chapels after 1754, an increasing number of baptisms and burials were carried out in nonconformist chapels and recorded in their registers. Baptists recorded the births of children and the baptism of adults. Non-Conformists confirmed their assent to the Thirty-Nine Articles [of the Church of England], with the exception only of Articles 34, 35 and 36, and part of 20; and Baptists uniquely were permitted also to except part of the 27th Article, dealing with infant baptism (Baptists embrace believer's baptism, adults professing their faith prior to being baptised, rather than the more common infant's baptism, as practised by the C of E). Dr William's Library, 14 Gordon Square, London WC1H 0AR. 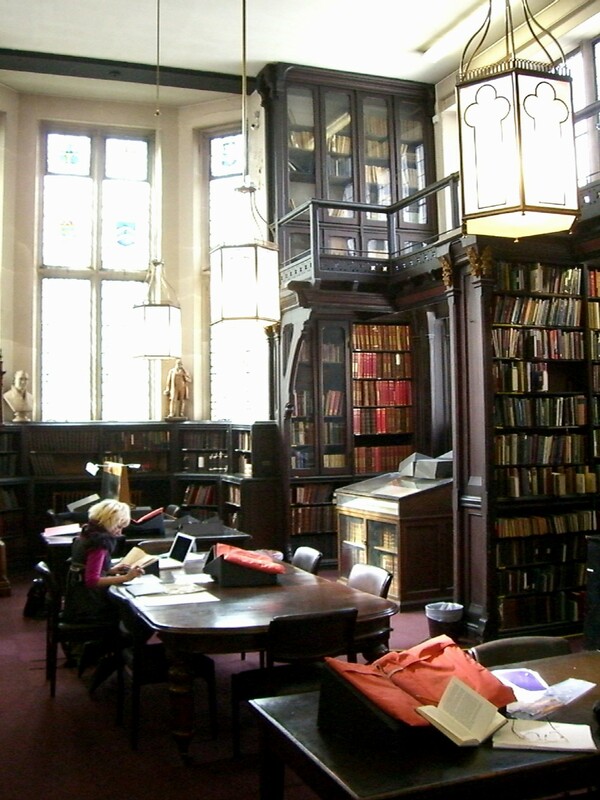 Dr Williams's Library is the pre-eminent research library of English Protestant nonconformity. Established under the will of Dr Daniel Williams, the Library is one of the oldest open to the public still conducted on its original benefaction. It has never received any government funding. The Library serves a very wide readership, not only ministers and lay people of all denominations and faiths, but also academics, independent scholars, family historians and research students. In March 2010 it re-opened after major building works. John Gowlland visited it in March 2010, but without any significant discoveries. A particular disappointment was that they do not have any records of their birth registrations - these were all passed on to The National Archives in Kew. More details on the Library may be found here. 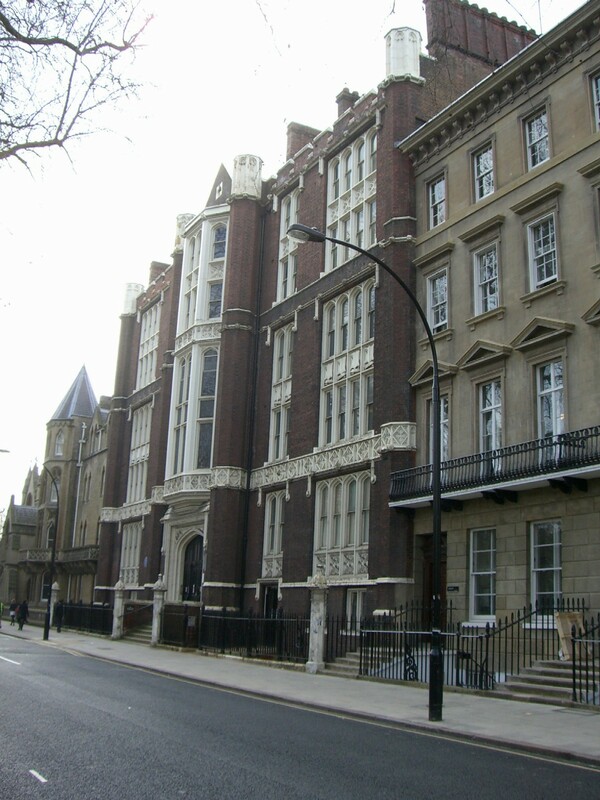 Regent's Park College, Pusey Street, Oxford OX1 2LB (01865 288 142 - angus.library@regents.ox.ac.uk)(including registers previously held at the Baptist Church House in Southampton Row, London). The Gospel Standard Baptist Library, 5 Hove Park Gardens, Hove, East Sussex. Church of England parish registers record infant baptisms. Baptists disagreed with infant baptisms. Hence Baptist births were not automatically recorded in parish registers - sometimes they were, and sometimes they weren't. Legislation in 1695, and again in 1700, required Dissenters' births to be reported to the incumbent (the C of E priest) either to be added to his register, or entered in a separate book. Unfortunately, these laws were not universally effective. Baptists often (but not invariably) kept their own church's records of births, marriages and deaths. Not all churches kept records, and by no means all have survived. At the time of the 1837 introduction of civil registration, the law required all these Non-conformist registers to be surrendered to the Registrar-General, who was then empowered to issue from them, upon request, officially recognised BMD certificates . Regrettably, this did not ensure the preservation of the registers, since in many cases they were not surrendered, often because of the deep independence of spirit of many custodians, and/or because registration was done in Church Books which also included minutes and other records, and/or because the records were not kept in the church buildings but in the private homes of church officers. Burials of Baptists took place in parish churchyards except where Baptist meeting houses had their own burial grounds. Normally burials were recorded in parish registers when the dead were buried in the churchyard, and quite often when they were not. In the country many Baptist churches had their own burial grounds, usually adjoining or surrounding the church. Burial within the church ("intra-mural") was not uncommon: ministers were frequently buried "beneath the pulpit". It seems that in 1851 a religious census was held at the same time as the population census. Every known church, chapel and meeting-place had to complete a standardised form showing church attendance on 30th March 1851, together with the date of foundation of the church and its seating capacity. Regrettably this is almost certainly too recent for any records to appear of interest to us. However, these returns are held at The National Archives in class AO 159; and at some time they will be looked at. Stephen Gowlland made his declaration in 1769 as a Dissenting Minister (as did James Fenn) and it is clear that in many cases such individuals were only "part-time ministers" (see below). Easily the largest number of dissenting ministers of whom records survive are Baptists: it is thought this was the result of (a) Baptists being the largest denomination of Non-Conformists, and (b) Baptists being more scrupulous about making a declaration than the others. As explained in "My Ancestors were Baptists" by Geoffrey R Breed [ISBN 13: 978 1 903462 52 2], "the minister of each Baptist church is chosen by the members of that church - in other words, the congregation. It is important to realise that the title "Baptist minister" does not automatically carry with it any guarantee of theological training, doctrinal orthodoxy, ordination or accreditation. It simply denotes one who at some time is, or has been, in pastoral charge". In other words, there is no conflict between Stephen Gowlland's being at the same time a Millwright and a Minister. Dr John Evans' "Dissenting Ministers for England and Wales in 1715". At Dr Williams' Library ref MS.35.4. Revd Josiah Thompson's "Lists of Baptist Ministers in 1773". At Dr Williams' Library ref MS.35.5. Dr John Rippon's Baptist periodical The Baptist Annual Register contains three lists of the Particular Baptist churches in England, with the names of their ministers, for the years 1790 (Vol 1 pages 3-16), 1794 (Vol 2 pages 1-24) and 1798 (Vol 3 pages 1-43) . Additional information will be found in Dr Williams' Library protestant dissenters registry: Z 1767-1837 and in the Vital Records index on CD-ROM: ZCM 1538-1888. See "A History of General Baptists meeting at Dover" by Bejamin Marten 1802. In "The Unitarian Heritage in Kent" by Brian A Packer, he states that Baptistry in Dover began around 1660, at which time, under co-pastors Richard Hobbs and Edward Prescot, the church included members from Sandwich, Deal, Folkestone and Hythe. In the 1680s, the church was divided into three separate congregations - Dover; Sandwich and Deal; and Folkestone and Hythe. In the 1760s the congregation grew greatly under co-pastors William Ashdown and Stephen Philpot. And in 1793 it was proposed to enlarge the meeting house by adding two galleries [Note that by this time Stephen Gowlland had moved to Canterbury]. The expulsion in 1794 of the preacher Mr Porter (see below) for alleged "suspect sincerity", and the loss of a deacon, left the congregation without effective leadership; and numbers dwindled. However, in 1814 the decision was taken to build a new chapel. On 25th September Sampson Kingsford (whose name appears elsewhere in this section) laid the first stone, and it was opened in 1820. John Igglesden (whose name also appears elsewhere) bought the old chapel for his personal use, for £350. "10 January 1785 Certificate of a Meeting place for Dissenters. At this Court a new Meeting House in the Parish of Saint Alphage in the said City and County in a certain Place there called the Dancing Shool [sic] Yard is certified by Stephen Gowland and John Macmillan Members of a congregation of dissenting Protestants to have been lately built by them and others of the said dissenting Protestants as a Place of a Meeting of a Congregation or Assembly for Religious Worship and desired that it may be recorded in the Court for that Purpose. It is Ordered by this Court That the said New Meeting House be and the same is hereby for that Purpose recorded pursuant to the statute in that Case made and provided". This location has disappeared, either lost or renamed. The assumption is that this new Meeting House was a Particular chapel, one of the 'two attempts in the eighteenth century to establish a Particular Baptist cause in the city [of Canterbury] but both had faded away ('Kent and Sussex Baptist Associations', Frank Buffard, 1963, p 78). Arthur F Taylor in his 'The Free Churches of Canterbury: A Sketch of their History and of their Relations to One Another', Canterbury, 1932, states that a 'third (or fourth) Particular Baptist congregation was established in Canterbury between 1775 and 1790, and was dissolved in 1806 (page 20)'. [For this Canterbury information and references we are greatly indebted to Miss Gillian Rickard of Canterbury (GRKentGen@aol.com)]. For Stephen's biography, click here. KINGSFORD is a name that appears frequently in connection with the Gowlland family. In "Men and Ministries", dealing with events in the Dover Baptist circles in 1849, the author writes: "Alfred Kingsford owned and ran the Buckland Brewery, one of several small independent breweries in Dover at that time, which stood at the junction of Union (now Coombe Valley) Road and London Road. He was perhaps the wealthiest of the church members and in 1846 he had accepted £1,000 from the church and paid off the £1,800 mortgage on the chapel, thus contributing £800 to its building". This book survives in the Kent Archives in Maidstone. It is octavo in size, comprising about 120 pages, some of them pasted in at a later date (in particular the monumental sermon of 1805). The handwriting runs consistently from one month to another, changing only when the person responsible passed on the task to another. In the frontispiece is pasted an "Ex Libris" label with an illegible name, and tucked into the back of the book is a very brief letter dating probably to the 1920s or 1930s, on the notepaper of The Army and Navy Club, presumably directed to the person then in charge of the Archives, stating " . . . here is the promised book which came to me with my father's possessions: I am glad that you can add it to your collection, as I am very interested in Antiquarian matters". “At our Church Meeting held at Dover, after publick notice being given, it was agreed as follows, that Mr William Peirce and Mr John Igglestone is [sic] unanimously chosen Deacon of this Meeting. Signed by us on behalf of the whole - Stephen Philpott, Joseph Hayward, Thos Harrington”. “Proposed by the Church that Br[other] Ambrose Armstrong be visited by Brs Mrs William Peirce and Robert Barnes to inquire into the cause that prevented the attendance of him to the ordinance of the Lord’s Supper and to encourage his attendance”. “Proposal that William West shall be visited by the Church to enquire into the reasons for his non-attendance on the Means of Grace – to be visited by Brs Sampson Peirce and Marsh”. “William West has given no satisfactory answer”. “Register book to be deposited into the hands of Br James Porter our Pastor. Also requested that the Members will be particular in sending in the names of their children, as also the dates of their birth”. “Br William West has been attended to and we have reason to believe with success. “Requested by brother Hamden [sic] Winder for a recommendation from this Church to the Management of the General Baptist Fund in London – in order to procure a few books that may be of service and forward him in the work of the Ministry – we agree to recommend him accordingly – and appoint Br James Porter to draw up a letter for that purpose against the Monthly Disciplinary Meeting to be held in March 1794”. In the meantime, Bro Winder had written a letter to the Pastor, Deacons and Members of the Church, extracts of which state “in searching the Holy Scriptures after Divine Truth” he was “led to differ from them on the following points of doctrine, namely the Doctrine of the Ever Blessed Trinity, the Doctrine of Personal Election, Particular Redemption, Effectual Vocation, and the Final Perseverance of the Saints through Grace to Eternal Glory. And, as it is impossible for two to walk together comfortably except they be agreed, I conceive it to be my duty to inform them that I wish to be considered no longer under their Watch and Care”. He concluded with several statements affirming his “greatest respect and thanks for every kindness”. “Bro Winder having left us and embraced a Strange Doctrine, we agree that Publick Notice shall be given of his leaving this Church, on next Sunday in the afternoon. The decision was to send him a letter setting his answer in writing, as he was still considered unstable [sic]. “A letter has been sent confirming all points of doctrine and agreeing to accept him again . . . . at the same time we request our Pastor to give him a kind caution and word of advice at our next Communion, at which time we request him to attend”. “James Porter i[the Pastor] was unanimously given three months warning as agreed to give him before his leaving the church from Lady Day”. There follow thirteen signatories, the las tone being Henden Winder. But not William Peirce. “Re Deacons - John Igglesdon having left, only one remains. As it appears that the General Baptist cause in Kent is on the decline, we wish . . . . to preserve the spirit of religion amongst us”. “We as a church being without an Elder, and Mr Fenn being gone to America, [and] we being in want of a proper person to administer the Lord’s Supper amongst us, we agree to submit our case to next Association for their counsel of assistance”. Heather Woodruff and Ann Carpenter baptised. Sampson Peirce and Isaac Fuller appointed Deacons. “Sampson Peirce having died, William Peirce, the remaining Trustee, nominated Mr William Kingsford to succeed his son in the said Trust”. Address given by Mr Marten, the Pastor . . . . . “Between two and three years ago this Church, which had been unanimous and for the most part prosperous for eight or nine years before, had its peace broken in a most extraordinary way”. “Firstly, respecting certain money belonging to the Congregation, and Secondly respecting a piece of land used since time immemorial by the Church as a burying ground”. Firstly, it transpired that Peirce had £200 “held in an estate in Romney Marsh” which paid the church only £5 p.a. “and, as he could not succeed in getting the said money home, he had no right to comply with the wishes of the Church. Mr Peirce made choice of Mr William Kingsford and Mr John Igglesdon as joint trustees with himself, bound to pay the £200 into the hands of the survivor or survivors at 3 months after his decease. Thus is this unpleasant business laid at rest for the present”. The background to this was that in March 1722 a Mr David Simpson had “by Will given in trust an amount of £100 to the Ministers and Poor of the Congregation”. In 1783 a “further amount of £100 was raised by a collection of the Church”. This total of £200 was vested in the hands of the Trustees. “The burial ground had been land of Captain Samuel Taverner, a noted local General Baptist. He granted a 35-year lease, subject to renewal some seven years before expiration. This however by some unaccountable cause was neglected on the part of the Church; [and] in consequence the premises have devolved to Captain Taverner’s heirs, and that heirship is at present claimed by Mr William Peirce”. The sermon continued for what must have seemed an eternity to the congregatio, initially laying down new arrangements for the “key to the burial ground” to be placed in an accessible place within the church, so that all may be able to use it when needed” and also outlining the options available for, amongst others, fencing in the graveyard part of the land to try to ensure tenure. The later chapter of the drama followed some six years later, when William Peirce had evidently died, and the concession he had proposed came into force . . . . The Trustees reported that “. . . . having received from their Predecessor the late Mr William Peirce a Bond in the amount of £200m payable at three months after his decease – that they had applied to his Executrix Mrs Leirce for the same, but Mrs Peirce informed them that Mr Chester was an Executor jointly with her and she thought it most advisable to leave the matter to him. Mr Chester [h]as since been applied to who refuses to pay the money, but is willing to transfer a mortgage for £200 which the Testator had on an estate in Romney Marsh, at the same time adding that as the Church had before agreed to receive the proceeds of the £200 he could only do justly as an Executor by making the transfer of such mortgage and he conceived that, as the Church had so agreed, the paying of the money in any other way would not entitle the Executor to their safe discharge according to the tenor of Mr Simpson’s Will”. The Church however, not satisfied with this objection, “advises the Trustees to apply to their own Attorney, and adopt such measures as the Law dictates for receiving of the said money”. "This Book was given by Mrs Elizabeth Lawrence Kingsford of Buckland to the General Baptist Church at Dover to be by them carefully preserved, several inconvenience having been experienced from the Births not being regularly entered, those who have felt them [the inconveniences, presumably] strongly recommend to the Church to be particularly attentive to this business in future, the names having been faithfully taken from the Old Register Books by Mrs John Philpott and entered into this new Book by Benjamin Marten, August 1803"
The best of intentions . . . . Regrettably the records are less than complete and not entirely in sequence. In some cases they are very clear (click here and here for two transcribed pages incorporating names with some connection, however tenuous, to the Gowlland family); but in most cases they are not.